LG has announced an update to its Optime L Series with three new additions to the line that will be introduced at Mobile World Congress. Just as it did in the lead up to CES this year, LG appears to want to get ahead of the game when it comes to Mobile World Congress and the announcements it has to make. 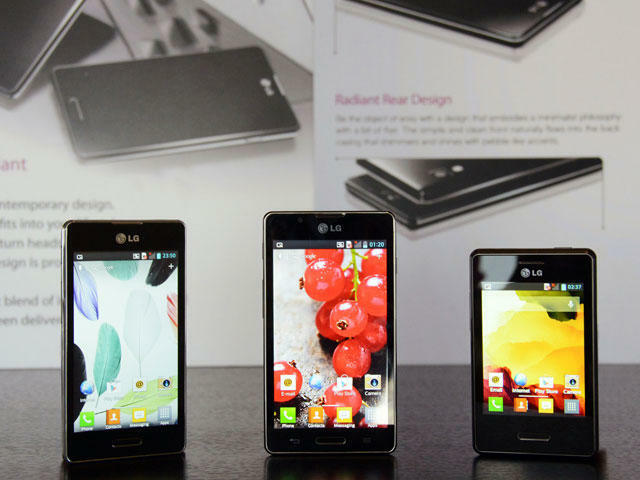 The new Optimus L Series II consists of three phones known as the Optimus L3II, L5II and L7II. The L7II will be the first to debut in Russia this week with a 4.3-inch WVGA display, 768MB of RAM, running Jelly Bean, 8MP rear camera and a 2460 mAh battery. It will also be available in a dual-SIM iteration for those who find themselves travelling through out the world from time to time. The smaller siblings joining the new product line-up include the L5II which will feature a 4-inch WVGA screen and 1700 mAh battery. The L3II will be the smallest member of the trio with a 3.2-inch QVGA screen and 1540 mAh battery. User experience is enhanced with the high-resolution IPS display and extended capacity battery in the Optimus L SeriesII. What's more, Dual SIM versions of the Optimus L SeriesII smartphone will enable customers to use one device for both business and personal calls.